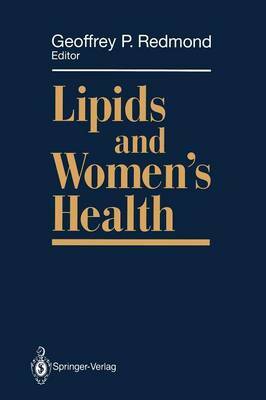 Lipids and Women's Health is an up-to-date critical review of pertinent scientific and clinical issues connected with lipid disorders in women. Topics discussed include the public health significance of cardiovascular disease in women, lipoprotein and lipid metabolism, effects of estrogens and progestins on lipid metabolism, metabolic changes of menopause, and the paradox of obesity, a curable disease that is rarely cured, as well as those conceptual advances in our understanding of diabetes mellitus that have clarified diagnosis and may have improved treatment. The relationship of diet and lipid intake to the development of breast and uterine cancer; dietary and drug treatment of lipid disorders; effects of exercise, smoking, and stress; and repercussions of lipid disorders on the family are explored. The volume should prove of use to gynecologists, internists, family practitioners, and pediatricians, as well as to all other professionals with a major concern for the health of female patients.